When the summer heat hits—or sticks, like your skin on a pleather couch—it can be pretty uncomfortable. Luckily, with the help of some simple herbs, you can find some relief. Summer is considered pitta season in Ayurveda. This means it can increase a sense of heat and sharpness in your body and mind, bringing on symptoms like heat rash, burning sensations, irritability, intense thirst, headaches, digestive problems and diarrhea. These 5 herbs can help cool the heat, support digestion and soothe irritation. One of the easiest herbs to find fresh, mint has a long list of health benefits. 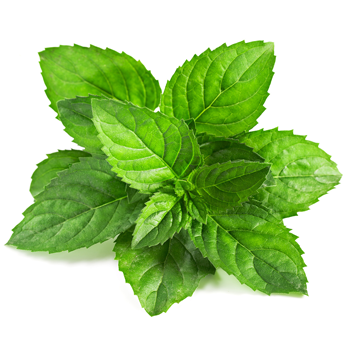 There are hundreds of varieties of mint, but peppermint and spearmint are some of the best for the summertime. Mint supports digestion without raising body heat, although it can help induce sweating during a fever to help it “break.” It also relieves nausea and headaches, and eases depression and fatigue. Try making a “cold infusion” of fresh mint leaves in a jar of cool water. Take a large handful of the leaves and wash and squeeze them to “bruise” them and release their flavor. Put them into a large mason jar and fill it with water, leaving the jar to sit in the sun for at least an hour. The resulting sun tea has an extremely refreshing and cooling taste which is much different than the flavor of hot mint tea. 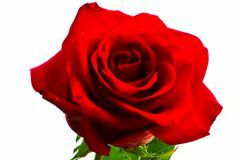 Rose can be used as an internal medicine in herb form or on the body as an essential oil or perfume. Worn on the skin, rose has a mind-calming, irritability-soothing, heart-opening effect. Taken internally, rose can cool the body, ease menstrual cramps and can, due to it’s astringent quality, help relieve diarrhea. Try to find a high-quality rose water or rose hydrosol to use as a toner—a spritz on your face will cool you down in a snap! For tea, look for organic pink or red rose petals. Use about a teaspoon of dried petals for a cup of tea. You could even add it to your mint sun tea! Prized all over the world for its safety and effectiveness, chamomile can cool the body, ease insomnia and calm anxiety. It can also help soothe digestive upset. Chamomile infusion can be a great medicine for the skin and scalp too! 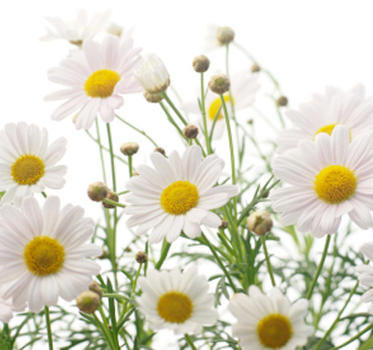 Pour a large pot of water over a ¼ c. of dry chamomile herb to make an excellent skin and hair rinse. Use when it has cooled to soothe inflammation, rashes, insect bites and even cuts and scrapes. When skin rashes and inflammation are more stubborn, you may need to bring in some stronger medicine. Manjista (or Rubia cordifolia) is one of the most valued Ayurvedic herbs for cooling the blood and removing toxins from the body. It supports liver and kidney function and soothes pitta dosha. It is also diuretic, so it will make you pee. Make sure to drink enough water to avoid dehydration or constipation. Make an infusion with 1 tbsp. herb boiled in 4 cups of water until the water volume has reduced by half. Strain out the remaining powder and store the infusion in a jar with a tight lid. Drink 1 cup before lunch and one before dinner. Because of its astringent property, Manjista can be a bit drying. This image shows the herb in its whole form, but you will probably want to use it as a powder. 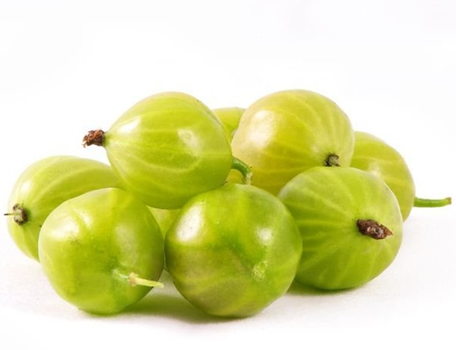 One of the best herbs for soothing excess pitta heat, Amalaki, or Indian Gooseberry is also loaded with vitamin C.
If you have symptoms of dryness, Amalaki, with its heavier, moister nature, might be a better choice for you than Manjista. It removes excess pitta heat from the digestive tract, gently detoxifying the body while nourishing it. Prepare it the same way as described above for Manjista. This image also shows whole, fresh Amalaki, but it will come to you as a powder. Mint, rose and chamomile can be found in most herb stores and some grocery stores. 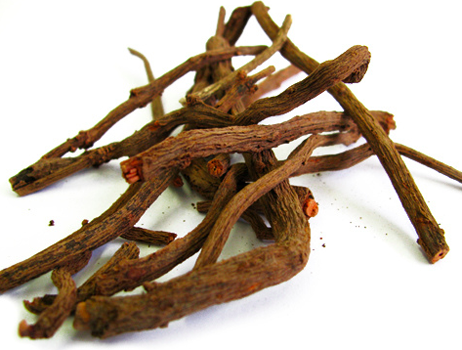 Organic Manjista and Amalaki can be ordered online from Banyan Botanicals. Herbs are just a few of the tools in our seasonal health toolbox. Cooling summer foods include: coconut water, watermelon, red grapes, milk, and white rice. What are some of your favorite ways to stay cool in the summer?